Are you afraid of the dentist? If so, you’re not alone. According to Stats Canada, around 40 percent of the population has a strong fear of the dentist. 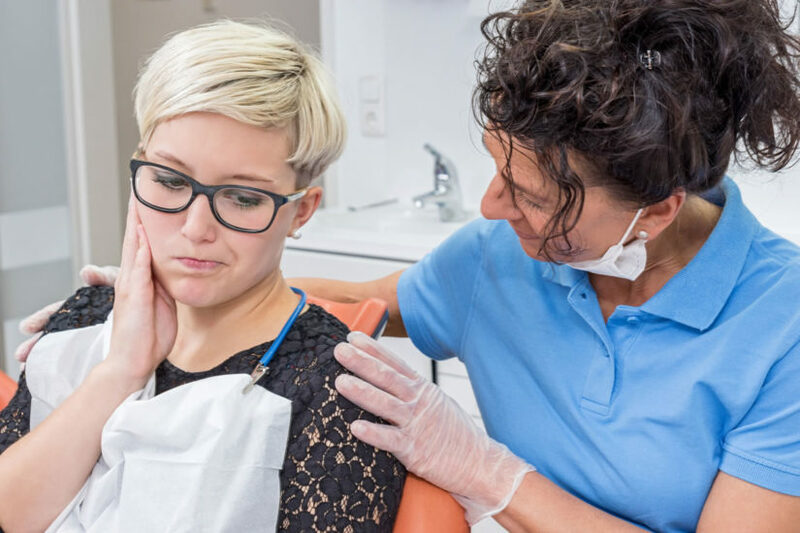 While very few people look forward to taking a seat in the dentist’s chair, some have a fear so paralyzing that it prevents them from getting the dental care they need. Without proper preventative cleanings, they eventually develop serious issues that lead to pain or lost teeth. Fortunately, you have several options available for dealing with a fear of the dentist so you can get the necessary care your mouth needs. Lack of Control: Other patients develop dental anxieties because of the lack of control they feel when they’re reclined in the dentist’s chair. Having a hygienist or dentist examining their mouth could just amply this fear. Self-regulation techniques can help you stay calm during dental treatments. One popular relaxation technique to try is deep breathing. Take a deep breath in, hold it for a few seconds, and then let it out very slowly to relax your muscles and slow your heartbeat. Meditation can also slow your heartbeat. Consider practising a few weeks before your appointment so you can use this technique to calm your nerves when you’re in the dentist chair. Having a fear of the dentist shouldn’t prevent you from getting the care you need. Instead, try these best practices so you can deal with your dental anxiety.